When the apple pie was open, the birds began to sing..
Tafe semester starts tomorrow.. and my holidays have come to an end. Tomorrow I will take my kitchen toolbox to Tafe. 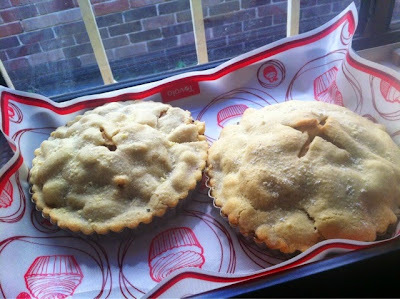 Hence, since I still have all my equipment today, I decided to make apple pies.... let's see how it went.. 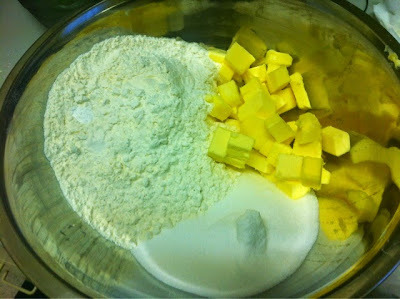 So I measured out the exact amount of butter, baker's flour, sugar and cornflour. Which I mixed together to become like bread crumbs. Next I added some vanilla essence and one egg. 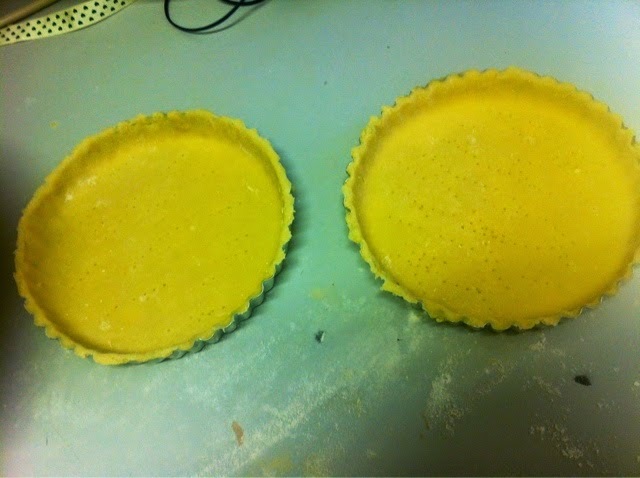 This is how the short crust turned out. I did read through another recipe, which only required plain flour and water. There are a few different recipes for short crust pastry. After that I wrapped it in cling wrap, and let it rest in the fridge whilst I started on the apple pie filling. 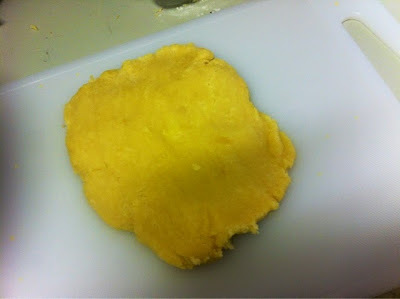 I am really happy about how the short crust pastry. Because the weather was quite cool (roughly 16 degrees and so was the kitchen), the pastry stayed nice and cool. Rolling out the pastry takes a bit of practice. After you roll out the pastry and line them in the pie dish, you'd still have to let it rest again.. (the egg flour butter bonds at work again). Next I cut out six apples, peel and cored. I mixed it with cinnamon, sugar, and vinegar. 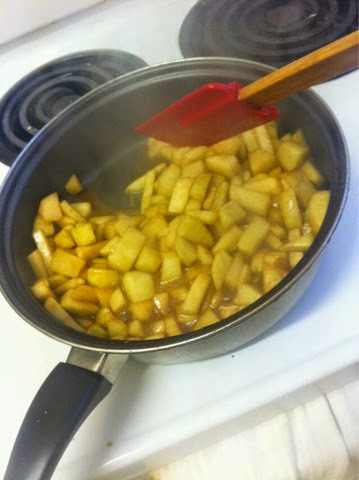 I didn't have any lemon or lemon zest, so I needed some acid to keep the apples from oxidising and discolouration. Hence, the vinegar would have to do. Whilst I was rolling out the pastry, I started to preheat the oven (grill type) to 200 degrees celcius. I left the pie in the oven for roughly about 20 to 30 mins. 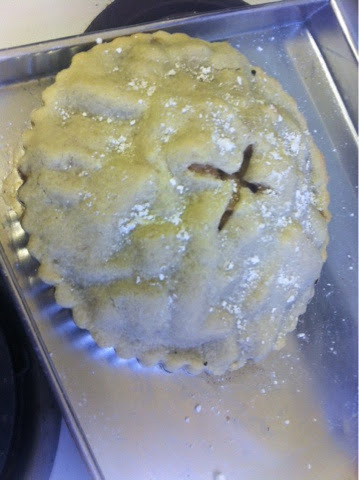 Notice that I have cut out a big X in the middle of the pastry cover. This is to let the steam out. 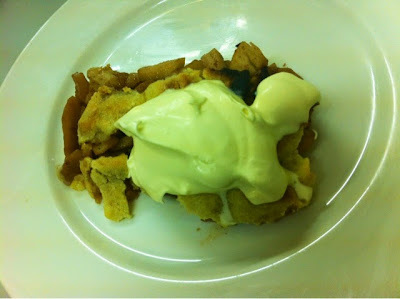 Now, this is how it looks.. served with some whipped thickened cream on the side so that the pie is not so dry. The landlady gave me some critique about the pie. The filling was tasty. However the crust was a little crumbly and too dry. Few factors are at play here. 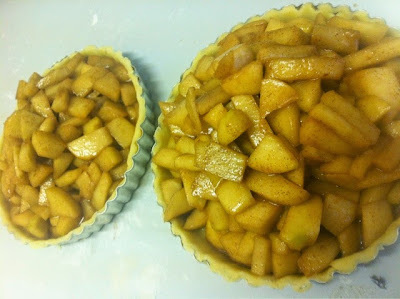 Did you realised that I had used the incorrect type of pie dish for making the apple pie?? It is actually a fruit flan dish or perhaps more suitable for a quiche, as it doesnt have the side which allows me to do a "scallop" or pinching of the sides for the pastry overhang. Also, the serrated sides of the "flan dish" makes it difficult to remove the pie from the base. That just means I should get the smooth rounded type of pie dish for my next attempt. Another thing is that the pie dish needs to have a heavy bottom. The thing about baking and pastry is always about heat control. If the pie dish is too thin, use a ceramic or something thick to prevent heat from going into the dish too quickly. If you know your oven well, and use heavy bottom dishes and trays, you will have less trouble in your baking endeavours. Till the next attempt, here's me signing off!